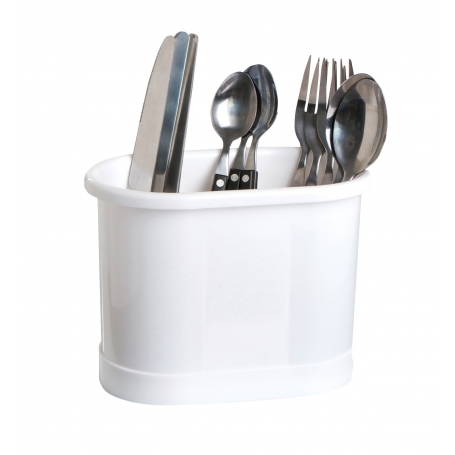 This sturdy white plastic cutlery drainer has six compartments. Two of them in the middle are raised so are ideal for smaller items like tea spoons, whilst the end compartments are ideal for larger cutlery. This drainer comes with removable base so can be sat in the sink and left to self drain.